The “See the Truth” Spirit badge is all about the Monster Conspiracy; why do folks continue to cover-up that monsters are real and among us?! There is but 1 level of the See the Truth Badge. Or is there? Many folks point to the Monsterologists themselves, for perpetuating the misinformation about monsters. Their motive? : To keep more of the monsters, their monster zoos, and their monster meats to themselves. 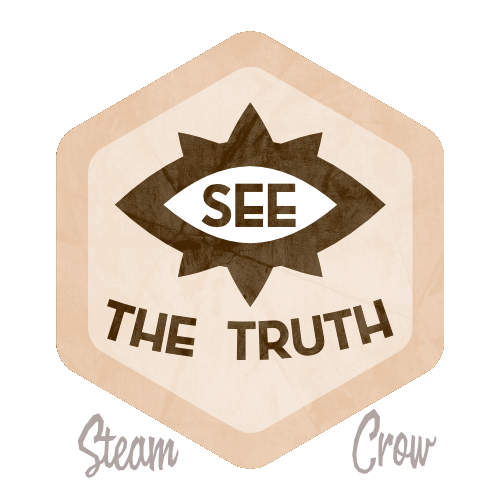 The See the Truth Badge is worth 10 Glory points, the same as most Spirit Badges. By wearing this badge, you are helping let others see the truth behind the conspiracy: only through the public’s knowledge about monsters can we finally aid them. This is a common badge. (But uncommon knowledge). Get yours here!